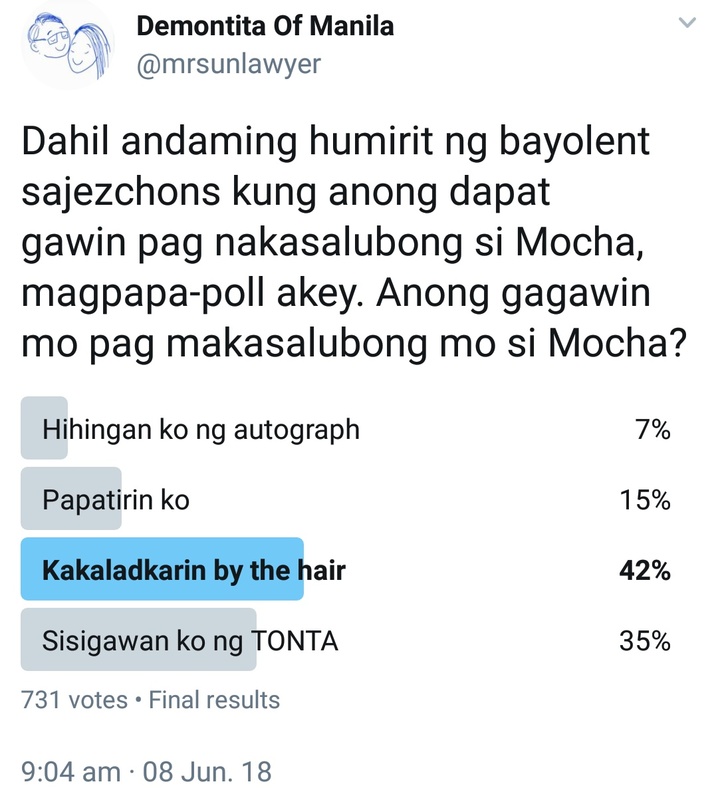 Yellowtard #BabaeAko "feminists" vote to drag Mocha Uson by the hair if ever they meet her! The results of a survey by a Yellowtard feminist #BabaeAko advocate are out. 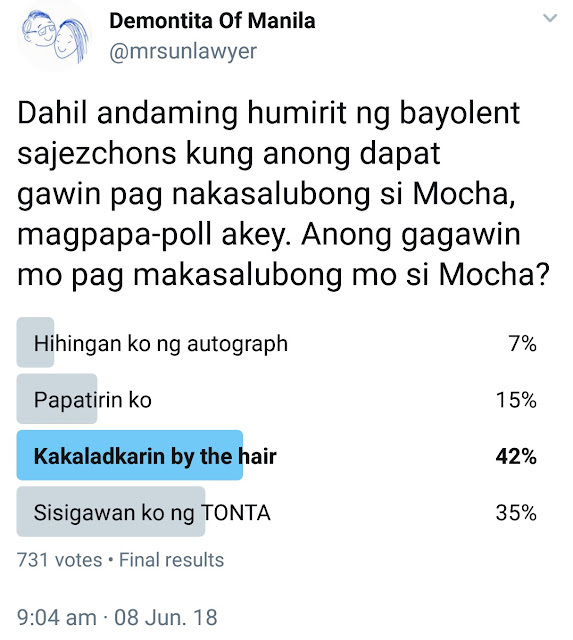 Yellowtards have overwhelmingly voted to drag Assistant Secretary Mocha Uson by the hair if given the chance. This highlights the hypocrisy of the clique of so-called advocates who use feminism as a disguise for their insidious poltical agendas. Feminism is accepting every woman as your equal, kahit ano pa siya, past, status, race, religion, beliefs, at magsuportahan para sa ikakaunlad ng isat isa. But now we have these arroragant hags who thought ikakaganda't ikinatalino nila ang mocha bashing. Tsk. Nakakahiya kayo. Compare this to the way these Yellotard pseudo-feminists conduct themselves. So much for authenticity and sincerity, right? The Philippine Opposition should ditch the Yellowtards if they truly aspire to be the excellent Opposition force Filipinos deserve.